Blackmagic Forum • View topic - Please BM a 16k Braw Phone? (8k and phone haters thread). Please BM a 16k Braw Phone? (8k and phone haters thread). Some people can't tolerate 8k (4k even) and mobile phones. So this thread is for them to vent all their objections here. In the future people can read what they say, when people think that good 8k footage on good 8k displays look better, and mobile phones are around us most of the time and are finally a worthy subject of comparison in technological discussions (oh wait, that's Now. How will they cope). This is a humours thread. What ever you say has to be related to 8k/4k or mobiles in cinematography or related work day. If anybody can point to good mobile filming tools, that's ok,. Then the others can get onto their usual tearing it apart. Last edited by Wayne Steven on Tue Feb 12, 2019 2:04 am, edited 1 time in total. I'd buy a phone hat. 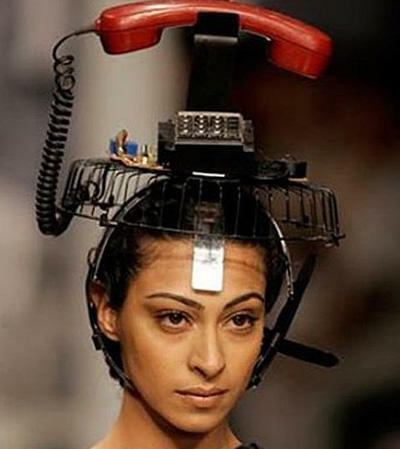 roger.magnusson wrote: I'd buy a phone hat. Where does find a phone hatter to make a hat for one's phone? Are they phone specific? Waterproof? Yes. Why does Android spell corrector think its spelled Hatter at around 5am at night? Maybe it to has a sense of humour, thinking I speak of Mad Hatters? Gene, great Hat, but can I get a cinema camera in that? Be great to cover NAB with, just asking people "Speak into the phone" actively pointing at it with raised eager eyebrows. Oh great, the hat posts killed it. Oh well, maybe nobody has much against phones or 4k/8k. That is a phone without much of a camera as far as cutting edge goes. A phone who could have had a 855 processor, and more 3D cameras, a phone which you can attach a real camera to. A phone which was supposed to have cinema module last year and onto a 3D module after. Such bitter disappointment. I see BM as maybe the only one who has dine the right thing as far as value goes. Some of the first great 8k YouTube footage might just be the camera filming itself in a mirror. Oh no! We've been moved to off topic, the dead pool of dead pools. Almost completely useless now. Time to contact our local friendly mod and ask them to delete the thread.